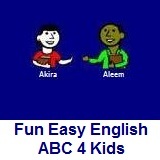 ﻿ Fun Easy English - new writing english alphabet for kids letter z. Hey kids, try writing the letter Z. Today I saw a zebra at the zoo. We saw many animals at the zoo. There is a zipper on my pants.